When the Chicago commuter train jumped the bumper at O’Hare Airport in March, it was because the driver had fallen asleep. When the Metro-North train derailed in the Bronx in December, killing four and injuring dozens, it was because the engineer had fallen asleep. Driver fatigue and error has played a prominent and persistent role in fatal train wrecks. How can this often fatal element be fixed? You could give rail employees regular shifts and not work them so hard. But for those who see in large companies an aversion to personal responsibility and the heavy inertia characteristic of large organizations, this may seem as likely as peace on earth. The solution the National Transportation Safety Board has been advocating for years is the Positive Train Control System (PTC). PTC combines GPS spatial awareness with communications technology. In the case of Metrolink, for example, the system “sends up-to-date visual and audible information to train crew members about areas where the train needs to be slowed or stopped.” This information includes signal and switch status and position, speed limits and restrictions, track work and worker locations. PTC communicates with the train’s onboard computer, “allowing it to audibly warn the engineer and display the train’s safe braking distance based on the train’s speed, length, width, weight, and the grade and curvature of the track.” A failsafe activates the brakes to bring the train to a stop automatically if warnings are not acted upon by rail personnel. In the aftermath of the 1969 head-on collision of two commuter trains in Darien, Conn., the NTSB has repeatedly called for PTCs to be mandatory. The organization issued 50 safety warnings calling for its implementation and it has appeared on the organization’s “Most Wanted List” of train safety improvements from the list’s first appearance in 1990 until the Rail Safety Improvement Act (RSIA) passed in 2008, after a Chatsworth, Calif. crash caused by the engineer texting instead of paying attention to changing conditions. Two dozen passengers lost their lives in the accident. The RSIA mandated that “all trains providing passenger service and freight trains operating on lines carrying toxic- and poisonous-by-inhalation hazardous materials” will be required to implement PTC by December 15, 2015. Currently there rail lines in the Northeast Corridor and the Michigan Line (Chicago to Detroit) that have gone live with PTC systems. The Long Island Rail Road (LIRR) in the New York area uses elements of PTC to govern speed limits. In Southern California, the Metrolink system involved in the Chatsworth crash just became the first commuter rail to employ it. But most of the 140,000 miles of “Class I” rail in the U.S. (used by the seven largest American rail companies) and the 21 regional and 510 local rail systems remain PTC free. Not surprisingly, rail companies are decrying the prohibitive cost and impossible deadlines they claim to face in bringing their companies in line with the law. This despite having seven years to do so and seeing 10,000 miles of track excepted from the regulations. Union Pacific’s Chief Executive Officer Jim Phillips called PTC systems, “a terrible waste of money,” claiming that money will total $10 billion for the rail industry. As Keith Barry noted in Wired, “Even if all the passenger and freight railways agree on standards and work with suppliers to develop proprietary communications equipment, the sheer number of trains means that there may not be enough available bandwidth” for the extensive communication between trains, dispatch centers, other trains, junctions, and the dispatch locations of other rail companies. Supporting that position is no less an entity than the General Accounting Office. Their 2010 report on rail safety noted that the system, at its peak, would reduce crashes by only 30 percent. If the word “only” can legitimately be used when it comes to human lives. Two years later, the Federal Railway Administration reported to Congress, saying it was unlikely the 2015 PTC deadline would be met by many of the rail companies. As anyone who has worked in development can attest, the best planned rollout can still run up against unexpected obstacles. The reality that the federal government is being the schedule for PTC may, in the wake of the HealthCare.gov debacle, set off alarm bells even for many who support the mandate. Also, much of the industry, including the regulatory side, is so far behind the times as to be alarming. The Railroad Retirement Board, an agency within the executive branch, is only now (currently, in 2014) planning to begin to move away from 55-year-old COBOL as the language for their back-end. 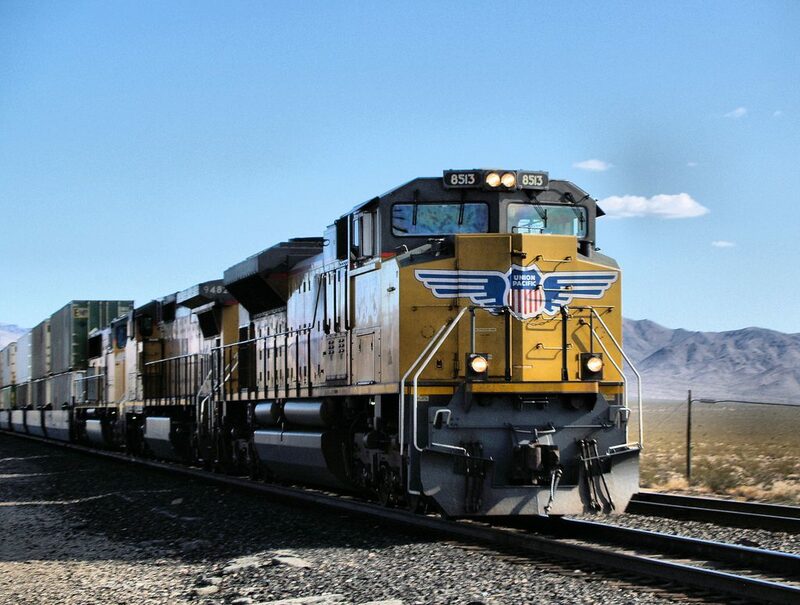 As recently as five years ago, one of the big rail companies, Union Pacific was still struggling with transitioning from its 40-year-old IBM mainframe. It all hints strongly at an industrial inertia of transcendental proportions. But it is also important to note that the United States railroad industry has had almost 200 years to master the intricacies of the American political system and the demands of public relations. Given the way corporate culture forms, it is not calumnious to point out that many of the 19th century’s “robber barons” either ran railroads or provided the materials they ran on. In the meantime, private companies, recognizing the need for automated safety tools for rail, have begun to pick up some of the slack. New York Air Brake’s LEADER system, aimed at maximizing fuel efficiency, also has safety elements built in, according to the company’s director of engineering, Greg Hrebek. “The system provides the engineer with a variety of important information that he normally has to ‘feel’ out,” Hrebek told The New Stack. One example are the “look ahead speeds” predictions of velocity at several points in the future, given the train’s current speed. Another example Hrebek gave was the “in-train forces graph,” a visual representation of the various stresses on the train as it moves. Some railroads using the system have elected to employ its “AutoControl” function, which “actually commands the throttle and dynamic brakes, leaving the air brakes to the engineer. This allows the engineer to better focus on situational awareness and the system will strictly enforce rules and regulations reducing human error.” The LEADER system has been running on the industry PTC hardware platform for several years, according to Hrebek. But as the deadline for the mandate comes closer and few major railways employ PTC to the extent demanded by law, it would not be surprising to see more companies like NYAB put themselves forward as providers of solutions to the same problem. Whether those solutions will be adequate to both the safety issues and the legal ones is uncertain. The New Stack asked the National Transformation Safety Board for a comment regarding the timelines, but received no response by press time.